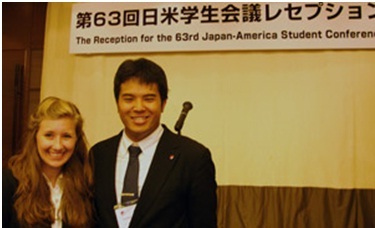 Courtney Kimball and Kunihiro Shimoji were featured in their school’s newspaper for their participation in JASC. They commented on what they learned from the conference and what the JASC experience was for them. Please visit the article “Building bridges, strengthening skills” and learn more about JASC directly from these JASC alumni. This entry was posted in JASC and tagged JASC 62, JASC 63, JASC's article by ISC Admin. Bookmark the permalink.